The Calcutta High Court also came down heavily on the West Bengal government for not responding to letters of the BJP seeking permission for its processions in the state. COOCHBEHAR: BJP national general secretary Kailash Vijayvargiya said Friday that the party would move the Supreme Court "if needed" to hold the much-touted 'rath yatras' across West Bengal. "If needed, we will move the Supreme Court to get justice," he told the media here after the Calcutta High Court modified the single bench order of Thursday and directed the state chief secretary, home secretary and director general of police to sit with three BJP leaders by December 12 and take a decision on the matter by December 14. 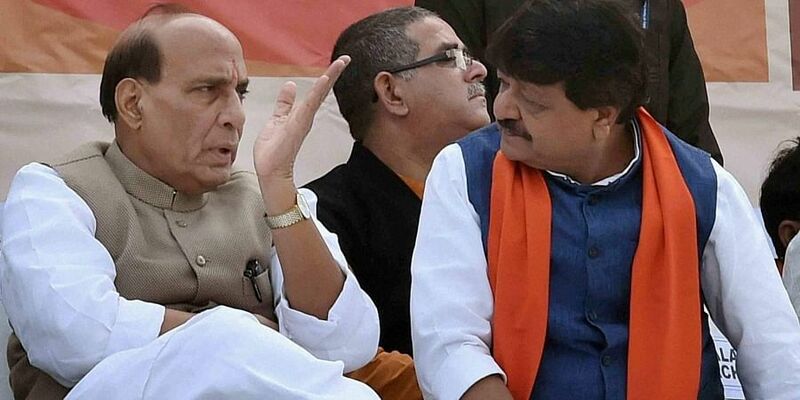 Vijayvargiya stood by the BJP state leadership saying, "There was no lapse on their part and the entire party stands united and we are with the state (party) president" as he blamed the state government and its policy to "throttle the opposition" for putting on hold the 'rath yatras', which was scheduled to be flagged off by BJP president Amit Shah. Reacting to the HC division bench ruling, BJP state president Dilip Ghosh said, "We thank the court for its verdict. The state government for so many days didnt have time to discuss the matter with us. Now they will sit for discussion". In Delhi, Shah told a press conference that BJP's growth in West Bengal has "scared" Chief Minister Mamata Banerjee. He also accused her of "throttling" democracy in the state by denying permission to the three 'rath yatras' of his party. "We will definitely carry out all yatras, nobody can stop us. The BJP is committed to change in West Bengal. The yatras have not been cancelled, just postponed," he said. A party source, however, said on condition of anonymity that the BJP central leadership is unhappy with the party's state leaders as the rath yatra programme had to be put on hold. A section of the leadership felt that the party had to go back on the programme at "the last moment due to lack of proper strategy and planning" when all preparation for the three 'rath yatras' slated for December 7, 9 and 14 was ready. The division bench of Justices Biswanath Somadder and A Mukherjee during the day criticised the state government for not responding to BJP's letters for permission to hold three rath yatras in the state. It modified the single bench order and directed the state chief secretary, home secretary and director general of police to sit with three BJP leaders by December 12 and take a decision on the matter by December 14. Shah was to kickstart the campaign titled 'Save Democracy Rally' from Coochbehar district in the northern part of the state Friday, from Kakdwip in South 24 Parganas district on December 9, and from Tarapith temple in Birbhum district on December 14. The 'rath yatra' was scheduled to cover all 42 Lok Sabha constituencies in the state.